The United States of America was the only country whose representative attended the birth of Pakistan on August 15, 1947. Later, he was replaced by an ambassador who presented his credentials on February 26, 1948. It seems that a generous monetary aid was also offered at the same time. At that time, Pakistan was in dire need of money. Just a while ago, even our former colonial masters, the government of Great Britain, had not flinched from accepting American loans (in fact, from the autobiography of Harry Truman we learn that the British government kept nagging for more than what the Americans were willing to lend them). The refusal of a starving nation to join the beeline of borrowers (even when the line was headed by their former masters) should have been an eye-opener to the ruling elite of the United States but it seems that it wasn't. Apparently, they eventually succeeded in persuading the later rulers to accept what the founding fathers had categorically refused. If precedents set by Jinnah should be regarded as the guiding principles of “the ideology of Pakistan” then refusing foreign aid (whether American or Russian) can be rightly regarded as a cornerstone of that ideology. Something to remember while Pakistan celebrates Jinnah’s birthday this year? 'Calling All Pakistanis' in The New York Times on December 2, 2008, Friedman wrote in a manner which is widely being seen as irreponsible. Response by Asim Khan: posted on TeethMaestro, this detailed reply is followed by a string of thought-provoking comments which make an interesting read by themselves (originally published in Cogito, Ergo Sum). Mr. Friedman's Demagoguery: written from a slightly different milieu by Saadia Toor and Balmurli Natarajan of the South Asia Solidarity Initiative (SASI), this reply doesn't represent the Pakistani point of view alone, but comes out as a South Asian response. If Friedman was hoping that by losing Muslims readership he would gain some from the other side then he may have been wrong on that count too, it seems from this article. Don't Shoot the Messenger: this response from Shandana Minhas is well-articulated and was published in a leading mainstream newspaper in Pakistan, though some may find it to be a bit more defensive than others. To this, one of the most highly respected of the emerging intellectuals in Pakistan replied, "Thomas Friedman has been writing along these lines for atleast the last seven years. Jokers like him are best ignored." This last suggestion is quite likely to be followed more than anything else by a large number of readers in the future. Let's see. 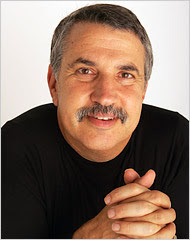 Photograph of Thomas L. Friedman is by Fred R. Conrad/The New York Times. Source: The New York Times, December 2, 2008. The names of the stages (i.e. 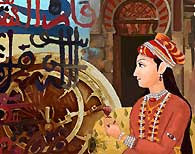 inquiry, discovery, and so on) have been taken from the "Seven Stages" which recur in Iqbal's work as I've shown in my book The Republic of Rumi (2007) and discussed in my newsletter. Of course, those who may like to name this periods differently can do so ("What's there in a name?"). But the beauty of dividing our history into these seven periods is that not only this division is symmetrical but it is based on the peak moments of the entire society rather than the coming and going of individual rulers. Does this sound better than naming the periods of our history "the Ayub Khan era", "Yahya Khan era," and so on? Through my researches about the history of Pakistan, its literature and the ideas which led to its creation, I have come upon a rather curious pattern. It is the recurrence of "peak moments" precisely every twentieth year (with one slight exception). Why does it happen, and can it help us in a better understanding of our history (and of ourselves)? 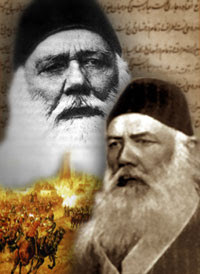 The representative gathering at Aligarh in 1886 founded the Muslim Educational Conference. A gathering like that – or perhaps even surpassing it – happened exactly twenty years later in Dacca in 1906 where the All-India Muslim League was founded. The demand for separate electorates was put forward, which we were able to exercise exactly twenty years later in the general elections held in 1926. Precisely two decades after that we had the winter elections of 1945-46 in which Pakistan was voted for. Since the birth of Pakistan a year later, i.e. in 1947, these cycles may be counted from the year in which Pakistan was created. 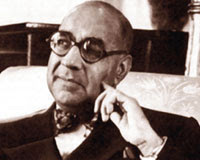 Twenty years later, in 1967, Pakistan People’s Party was founded in West Pakistan and Sheikh Mujibur Rehman’s Six Points gained acceptance in the Eastern wing. It may be noted that general elections which had never been conducted since the birth of Pakistan, were conducted as a result of this popular uprising – and we find this to be the case again twenty years later. 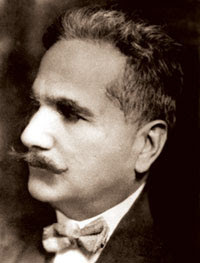 In 1987, the end of the Afghan War being in sight, the bomb blast in Karachi, the re-emergence of political parties in the municipal elections through the backdoor, the political liaisons of Benazir Bhutto and the increasing discontent with the non-party democracy introduced by General Ziaul Haq made the need for fresh mandate felt most widely felt among all segments of the Pakistani society (and not only among those who were opposed to the rule of General Ziaul Haque or Islamic reforms). 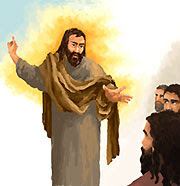 Elections on party basis happened the next year – whether through Divine intervention or human design is a question which doesn’t concern us here. Adding twenty to 1987 brings us to 2007 – need we say anything about this last year? 1) When I started composing and arranging "Akele na Jaana" in 1965-66, I certainly had the symphonic structure in my mind because the film, at that time, did not allow me to go beyond 3 to 4 minutes per song. Subsequently, I had to restrict myself to that length of Intro, Interludes and the Finale. I feel elated that my work, though it was appreciated by the masses and the connoisseurs, it was also understood and appreciated by persons such as Mr. Khurram. I was also honoured by music Composer Rafiq Ghaznavi sahab, ustaad Salamat Ali Khan sahab and many of my contemporaries by their appreciative comments. 2) Inspired by Tchaikovsky, Mozart and Rimsky Korsakoff, I also wrote, arranged and performed one Ballet "Heer Ranjha" in 1973 during my tenure as Resident Composer with PIA Arts Academy. Mr. Zia Mohiuddin and I discussed this and we instead of calling it a Ballet, called it "A Poetry in four movements". The first performance was at Intercontinental Hotel Karachi, before the then President of Pakistan Mr. Z.A. Bhutto and a group of scientists from Canada. It was well applauded. This was then performed almost all over the world where we had toured particularly in China, Korea, Russia, France, Spain, Tunisia, Morocco, Algeria, USA and Canada. 3) I also wrote a Symphonietta "Anar Kali" which I recorded with not a huge orchestra in Pakistan (as this was not possible). I released this in the audio channels of PIA's In-flight music. I have been wishing and hopefully may be able to record this with a proper Symphony Orchestra in this part of the world. Other than this I have been working on "Tariq Bin Ziad", "Umar Khayyam" and "Rumi". I hope I am able to accomplish this as soon as it is possible. 4) Recently in May' 2006 here in Toronto at the Living Arts Centre, I composed, arranged and conducted yet another Symphonietta "Bhairveen in C# Minor" performed by my trained team of boys and girls, which also was well acclaimed. This was during my programme "Sohail Rana Night 2006". 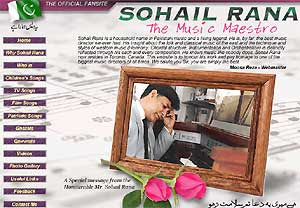 When I interviewed him in 1993, the great Pakistani composer Sohail Rana said that among his dream projects were symphonies about great Persian masters such as Omar Khayyam. Now I wonder if his 'Akele Na Jana' (female version) could also be interpreted as a miniature choral symphony dedicated to Nizami Ganjavi, the great Persian poet from the 13th Century. Originally the song was featured in the trendsetting movie Armaan (1966), written and produced by Waheed Murad apparently as an update on Nizami's Layla Majnun in the context of modern day Pakistan. Each of the first three movements is followed by a few lines of poetry from Masroor Anwar interpreting the meaning of that movement (the lyrics were written after the composition, and the signature couplet was suggested by Rana himself). The interpretation of the last movement is offered before it, so that no words should be needed after the grand finale. The poetry, incidentally, is based on Layla's love letter to Majnun in Nizami's epic, and Masroor Anwar seems to have done a superb job capturing the essence of the original poem. Read Sohail Rana's comments on this post. Ideas, language and human being are interconnected. An idea may become real and take form just as a person may turn into an idea and extend into other dimensions of life little known from the outside. Before you became, you were an idea in the mind of God. Then you turned into a soul and acquired body. That body will perish but the soul might live on. In the meanwhile you may have generated ideas which, just like you, will become entities in their own right. Hence the power of literature. Dabbling with theories of criticism seems to be poor harvest. A more proper aim for the study of literature could be to become literature itself and experience the miracle of changing forms - from human to word, from word to idea and then getting back into one's skin. 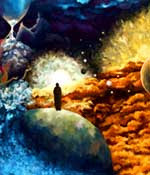 Through this acquire the power to create, not illusions but realities unknown before. In the elections of 1970, the PPP of Zulfikar Ali Bhutto (formed in 1967) received a majority of votes in West Pakistan with a 3-point formula, “Socialism, Islam and Democracy”. Disagreement with East Pakistan led to the separation of two wings after much bloodshed. The next two decades, divided between Bhutto and General Zia, saw crude socialism and rigid Islam turn by turn. On the cultural front the consensus of the nation was on Waheed Murad (1938-1983) – writer, producer, director and actor, who made films in Urdu as well as regional languages and preached integration of society through love. He was also a catalyst in turning Pakistani films and music into a modern parallel of folk culture: a true disciple of Sachal Sarmast. For an analysis of Waheed Murad's films and writings, visit The Untold Story of Waheed Murad. 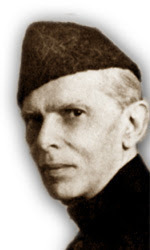 In the elections of 1945-46, the Muslim League's stand on the right of self-determination received a majority of Muslim votes. The result was Pakistan, a state which was voted into existence in order to fulfil the ideal of spiritual reconstruction of society. Poet, publisher and fiction-writer Ibne Safi (1928-1980) stands out as the tallest cultural figure in terms of national consensus over the next twenty years. He was popular with all segments of society. Being neither progressive nor conservative, he preached respect for law and loyalty to state. 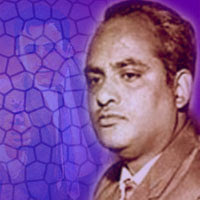 His genre was detective and spy literature but he remodeled it on the manner of dastaan. Hence he turns out to be a disciple of Mir Amman. In the early nineteenth century, when the British were becoming the masters of India, Amman drew strength for his community by reworking a classical story according to the tastes of the conquerors. Now, in an age when Western colonialism was winding up its game, Ibne Safi reworked a Western genre according to the tastes of the Eastern masses – after all, they were the ones who had now emerged as the victors. You can find out more about Ibne Safi at the Ibne Safi Website. In 1867 started an unpleasant controversy about whether Hindi should replace Urdu as the common language in India. 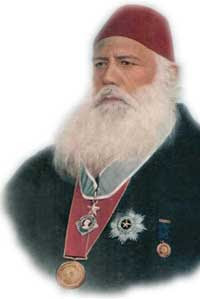 Syed Ahmad Khan (later Sir), a former civil servant from Delhi and now an educationist and reformer, prophesied that the differences between Hindus and Muslims would keep increasing (although he wished otherwise). 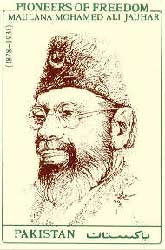 He sensed a risk that his community may get subverted by the British rulers and/or assimilated by the Hindu majority. The solution which he suggested was a bit of a surprise for everyone: modern education on Western lines. Why? Nature not only imprints upon our minds her own truth, but it also points out another principle, according to which we may direct our actions and thoughts; and as Nature is true and perfect this principle must necessarily be true and perfect, and this true and perfect principle is what we call religion… I hope that every lover of truth, while giving me credit for my conviction, will candidly and impartially investigate the truth of Islam. The book in which Sir Syed wrote these lines was aptly called Essays on the Life of Muhammad (1870). If the Muslim nation persisted in its search for "the conclusive argument of God" then its history could become "essays on the life of Muhammad."